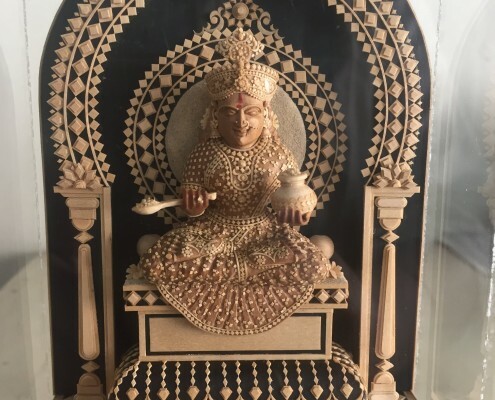 The Kamala Award for Excellence in Craftsmanship instituted by The Crafts Council of India in the year 2000 recognises the high level and proficiency of skill achieved in his/her traditional craft by an artisan, as exhibited in his/her body of work executed over the years. The award carries a cash prize of Rs.10,000/-, medal, ‘angavastram’, citation and a certificate. 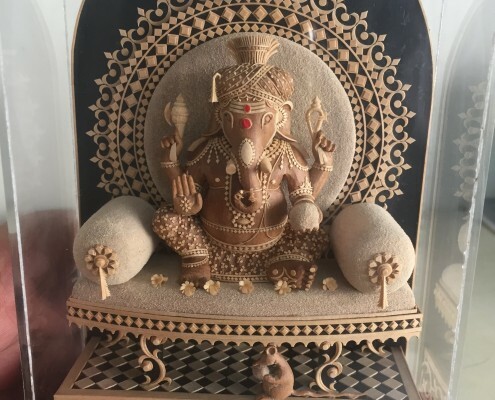 The recipient of the Kamala Award for Excellence in Craftsmanship 2018 is Shri. T.K. Bharani from Chennai, Tamil Nadu. 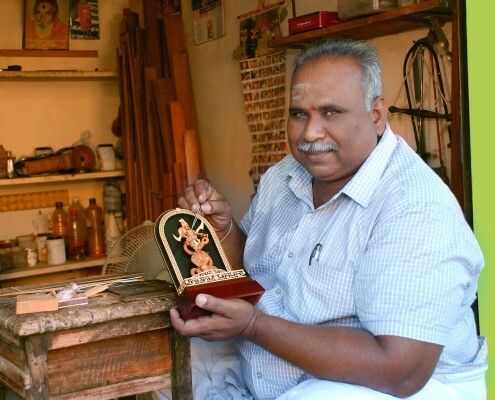 Master artisan and National Awardee T.K. 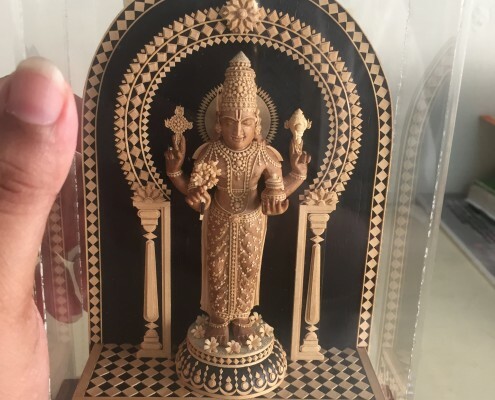 Bharani was born into a Vishwakarma family of sandalwood carvers. 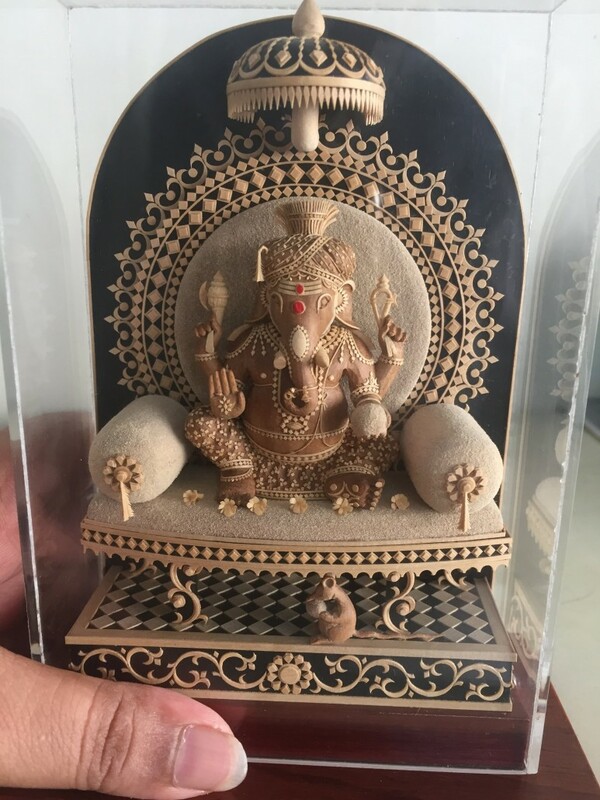 Miniature carving was his grandfather’s innovation. 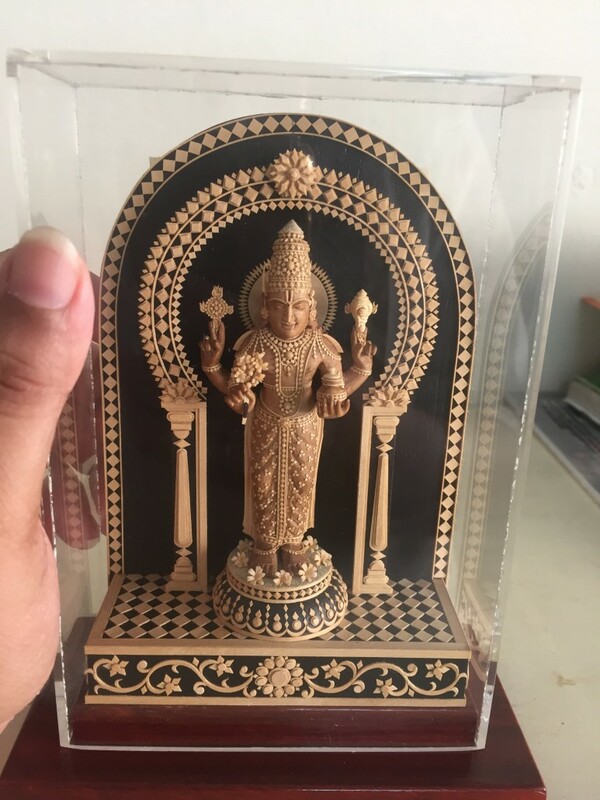 Young Bharani worked assiduously at miniature carving and by the age of 18 or so could make exquisitely carved and detailed 2” Shiva Parvati seated in a beautifully engraved mandap complete with 1 mm floral decorations, stories from the Epics incised in 6” frames or Ganesha seated in a rath driven by 2” mushikas. From the embroidery on the God’s dhoti incised to perfection to the floral detailing on 1” chchatris and ½ ” ‘tombais’, every exquisitely carved detail is done by hand by T.K. Bharani, using a magnifying glass and tiny basic tools. 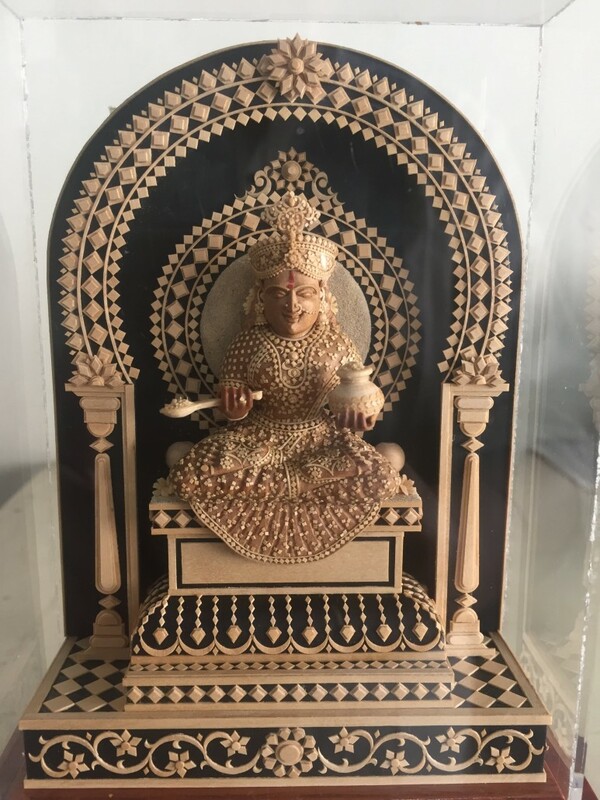 He has created many miniature sandalwood pieces like Radhakrishna idylls, various Hindu Gods and Goddesses and the replica of the Santhome Church. T.K. 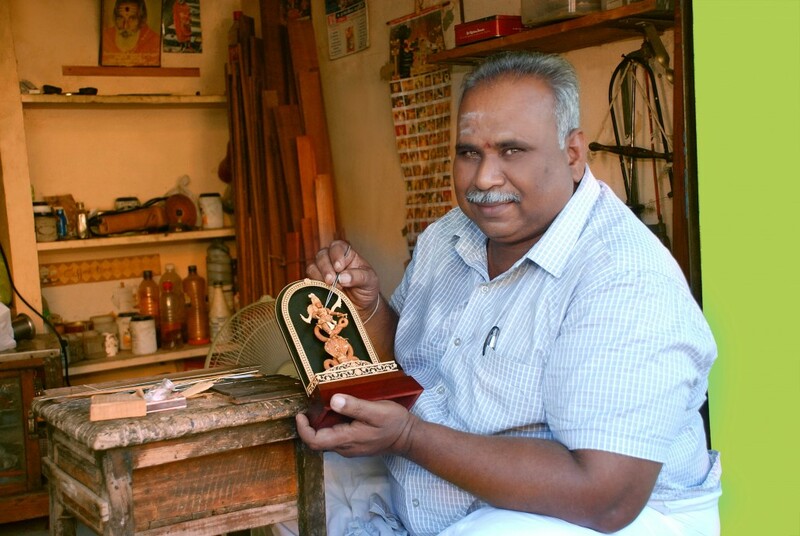 Bharani is the last of the Sandalwood micro miniature carvers, though he has trained his son in the craft. He has participated in exhibitions in Chennai, Delhi and Ssalonika International Fair, Greece. T.K. 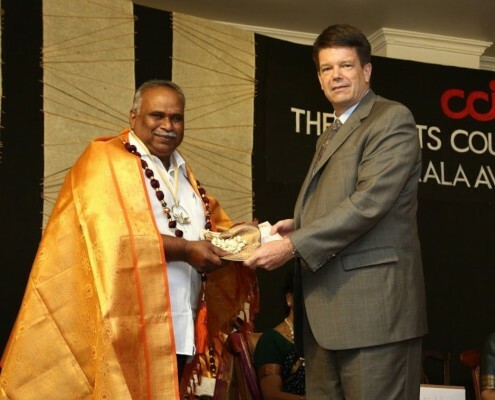 Bharani is the winner of many prestigious awards including the National Award from the President of India (1991), several VTI Awards given during Mahatma Gandhi’s Birth Celebrations annually and the Lalit Kala Akademi Award. 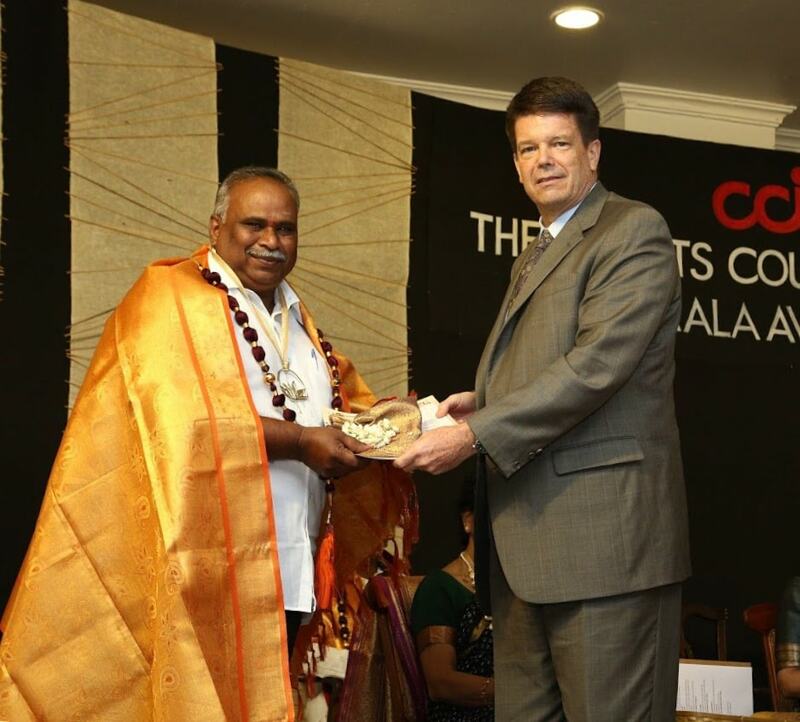 The Crafts Council of India is honoured to bestow on Shri. T.K. Bharani the Kamala Award for Excellence in Craftsmanship for the year 2018.